Oftentimes, new bands have a problem standing out. Influences show too readily, or it’s an attempt to fit in and sound like a certain subgenre. 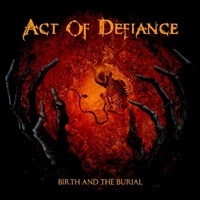 But Act of Defiance’s debut, Birth and the Burial, had no such problem in establishing a sound that refused to be pigeonholed. Of course, it helps when you have a team of established players with many years of experience (including time in Megadeth, Shadows Fall, and more) that don’t want to simply follow the rule book. So what’s a band like that to do for their second round? Up the ante of course! Old Scars, New Wounds expands upon the already vast sonic template of Birth and the Burial. Be it modern, retro, extreme, traditional – there’s something on this album for all to enjoy. Just listening to the first three songs gives a glimpse into the varied waters Act of Defiance plays in. “M.I.A.” offers a mix of catchy, mid-tempo riffing that would please many a Nevermore fan. Chris Broderick’s fiery leads are just the icing on the cake for said track. “Molten Core” pushes things to the extreme a bit further, channeling death and thrash metal intensities, blurring the lines between current and more traditional feelings with each in a 3.5-minute piece that will undoubtedly leave you with a sore neck. “Overexposure” then takes a more modern swing at things, tapping into the usual harsh/clean vocal patterns but done in a way that has more meat and integrity to it (no small part due to the musical prowess across the board). Instead of continuing to dissect each track, it’s easy to say that there’s a lot going on with Old Scars, New Wounds. But the most important factor is how cohesive the album still feels. It’s not a case where each track feels disjointed, but rather the diversity highlights the influences each member brings to the band. What patches the album then? A strong sense of melody that works well in an unquestionably metal framework, some serious shred muscles in the guitar department, a strong vocal performance from Henry Derek, assertive riffs that can lumber or swing like a sledgehammer, and a solid rhythm section that accentuates the landscape as required. 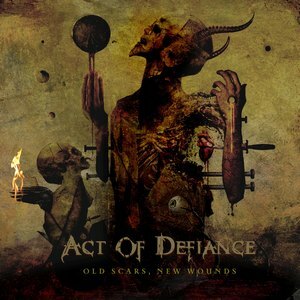 Old Scars, New Wounds succeeds because it forgoes labels and just bathes in metallic attitude. It’s what happens when established and experienced metal veterans have a hunger and desire for creativity that many tend to associate with younger bands. The end product is an album that a wide spread of metal fans can get behind due to its timeless and addictive vibe.